Covering mainly Kent, Sussex, Surrey and London, your door safety is of the utmost importance to us. We will always ensure you are within the law and above all insist on having safety systems installed. 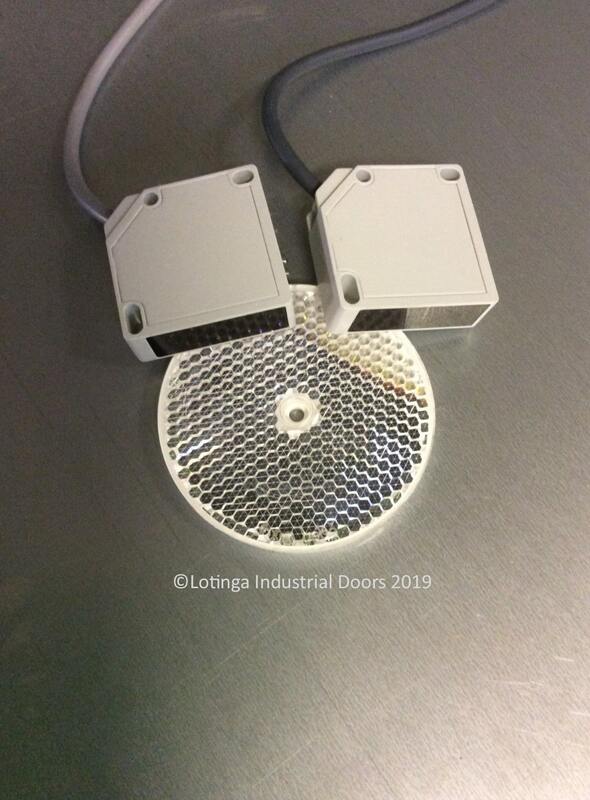 All your roller shutters and sectional overhead doors must be installed with safety brakes, for the purpose of preventing the doors from falling down in the event of a motor brake failing, conforming to BSEN 12604. 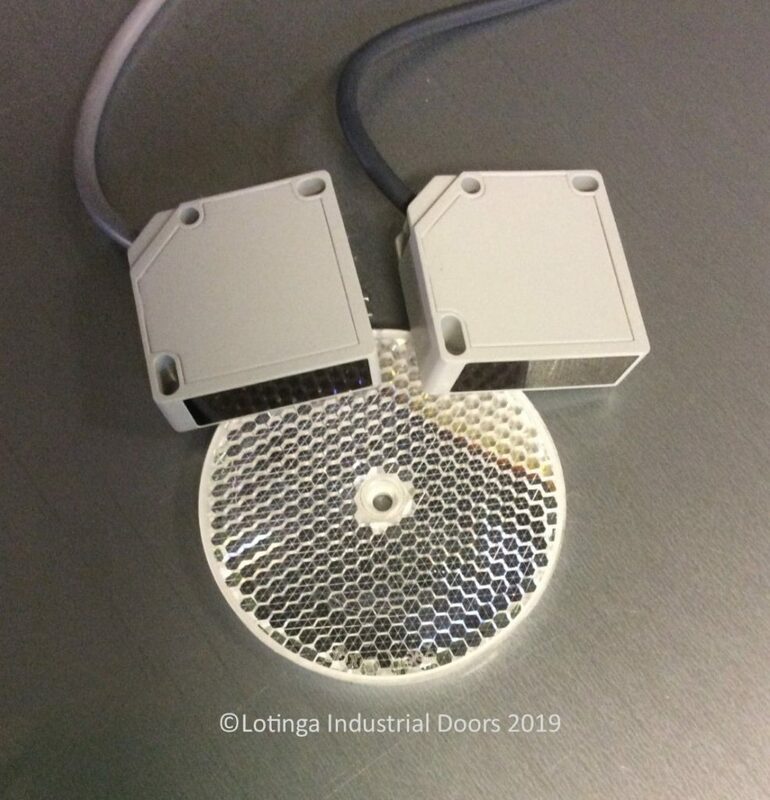 To prevent doors from closing on an object or person, it is a compulsory requirement of door safety to have some form of safety feature installed. 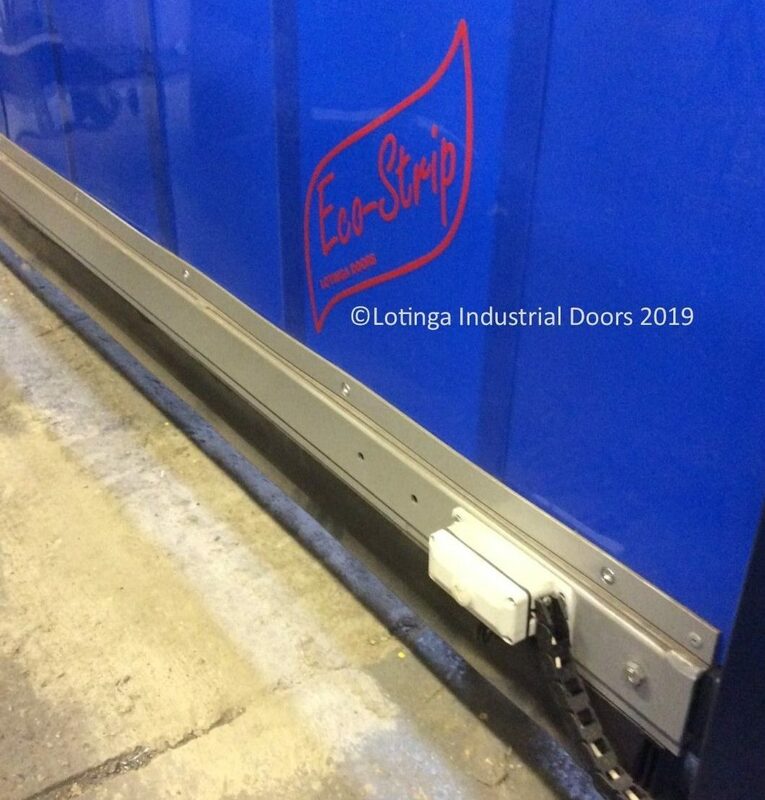 High Speed Doors - Important to Note! 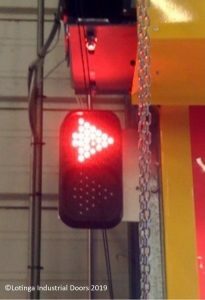 Personnel MUST NOT attempt to walk or drive under a high speed door once is has started its decent. 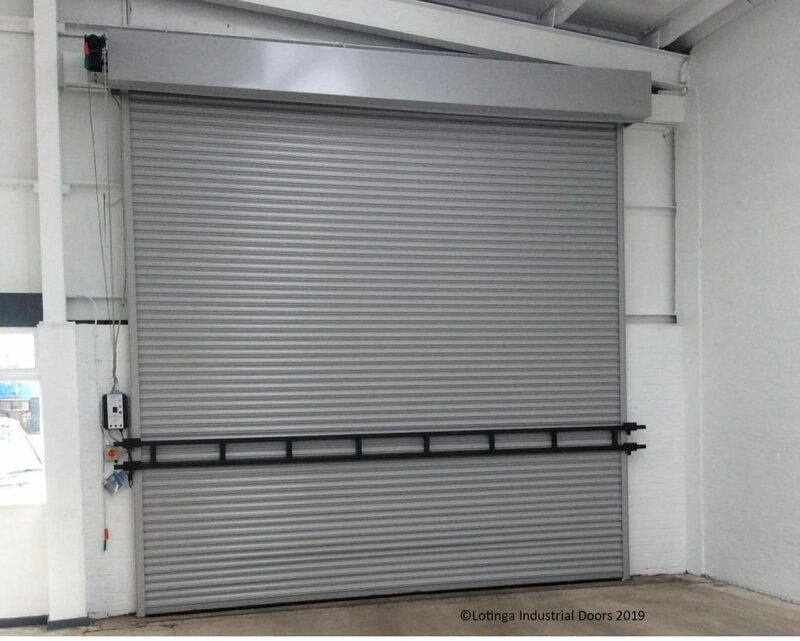 The photo beams rely on the person standing in the line of the beam to stop the door from operating and the safety edge will send the door back up only once it has touched an object or person. 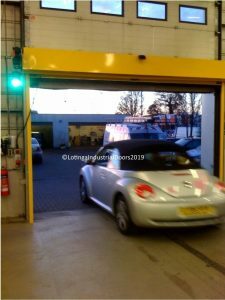 Unless a speed door has been set specifically to pick up walking personnel, they MUST use other entrance doors into the building. In this instance we also strongly advise our customers to erect signage to that effect. 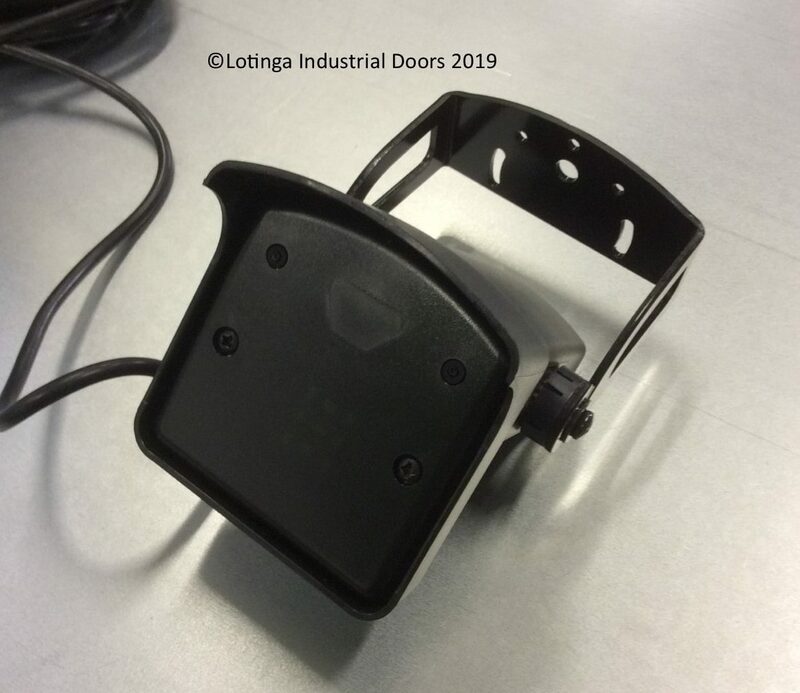 The motion Sensor shown below a device used for picking up walking personnel. Motion Sensors will pick up movement around your door area and automatically stop your door from coming down when it does so. 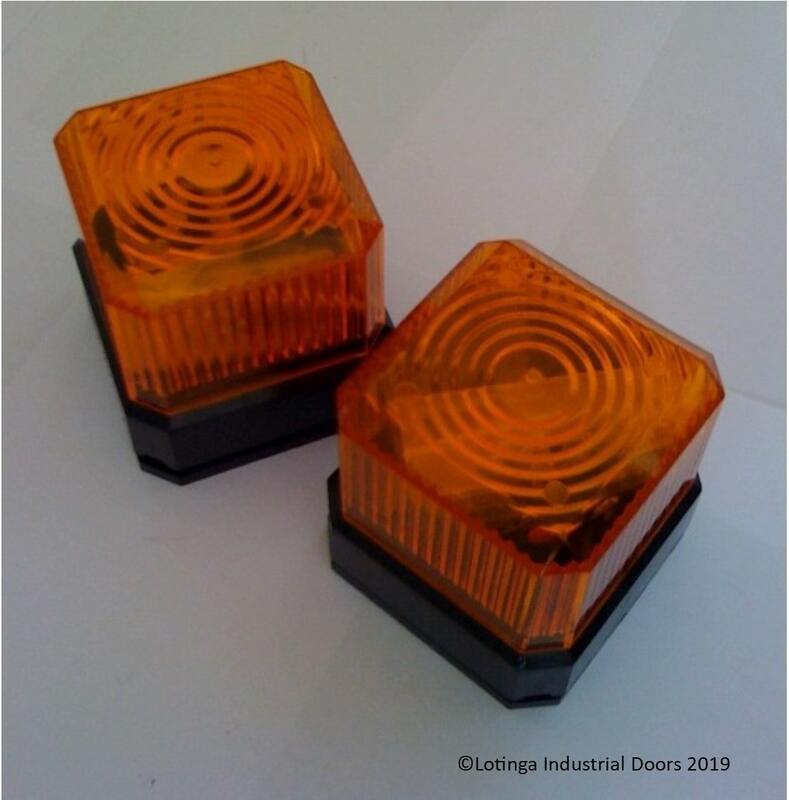 For additional visual safety Flashing Beacons and Traffic Lights are an ideal way in which to ensure your staff know when it is safe to pass through a door. 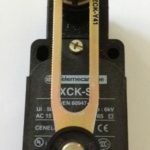 Placed on an electrically operated door which has an integral wicket gate installed; a Safety Interlock Switch is compulsory. 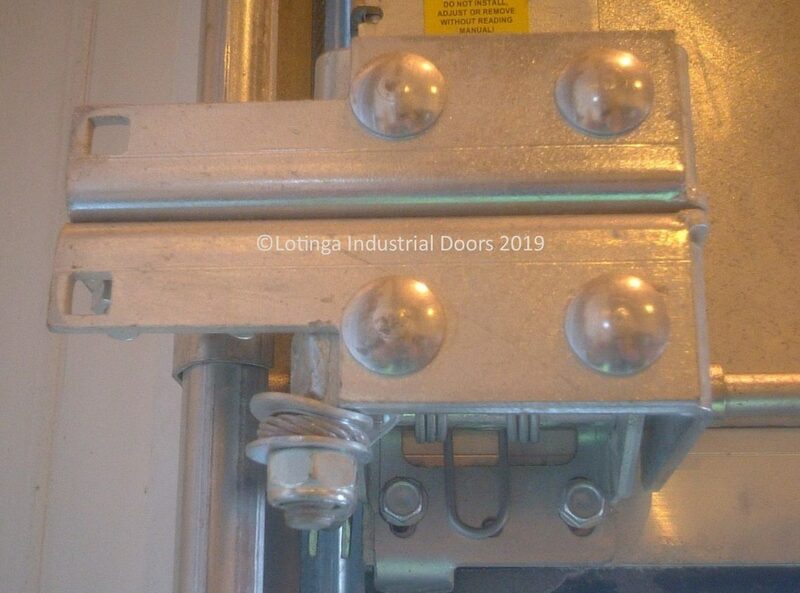 This stops the door from being operated whilst the wicket gate is closed; consequently it helps avoid any damage being done to the door. 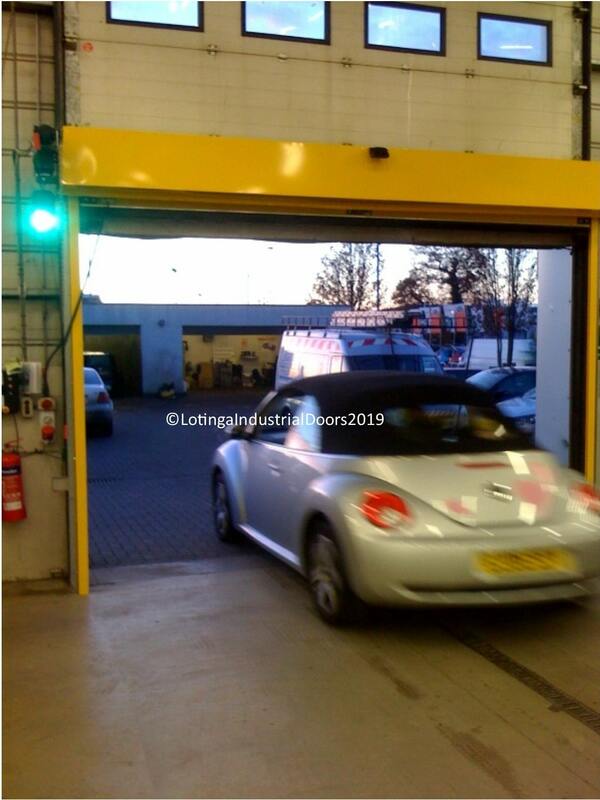 These Storm / Ram Raid Bars are exclusive to Lotinga. 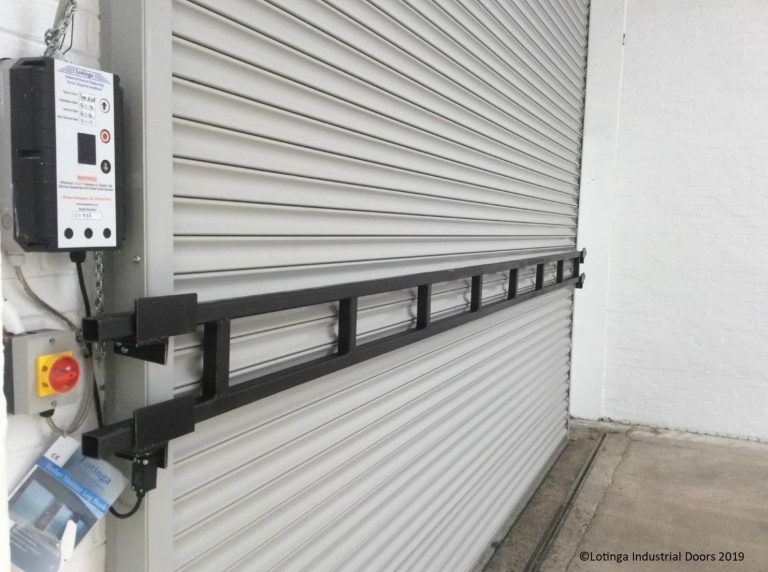 For the purpose of additional support to a shutter; not only exclusively manufactured for shutters situated in windy environments; but also to provide extra security to ram raid attempts. 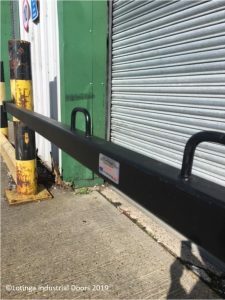 Ram Raid bars can be installed interally but also externally. 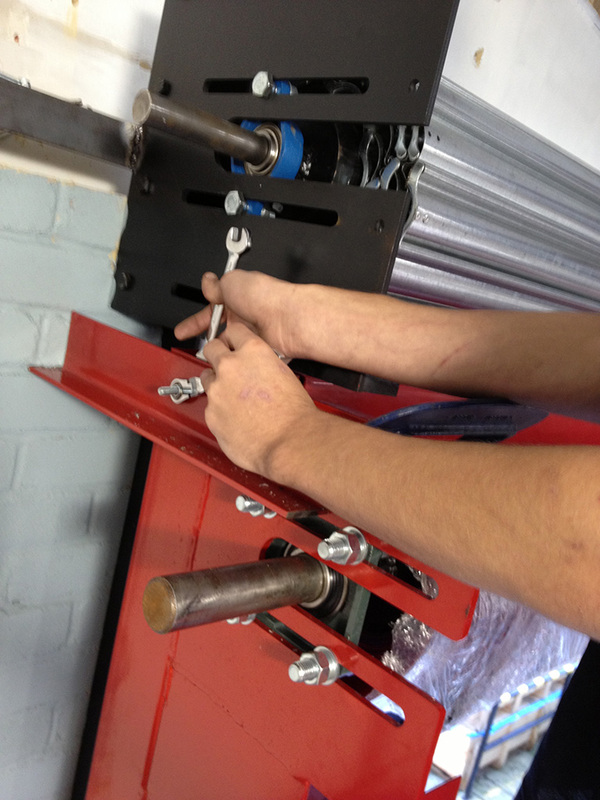 To help our customers ensure their doors are safe and reliable and also to aid them in meeting with legal obligations on the maintenance of their doors, we offer a Service Agreement Facility. 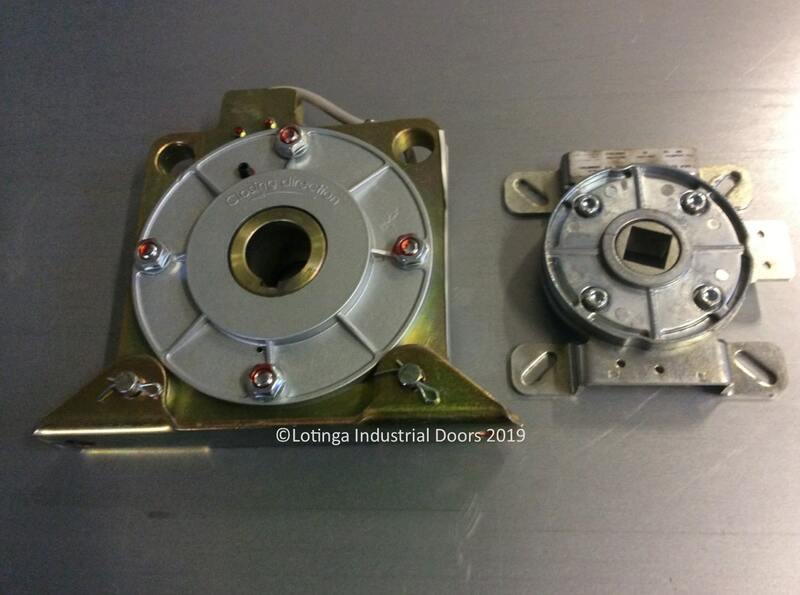 Click to learn more or contact us for a quotation instead.